Garcia Brothers will face the 5 tallest summits of Europe on a trip across 6 countries. 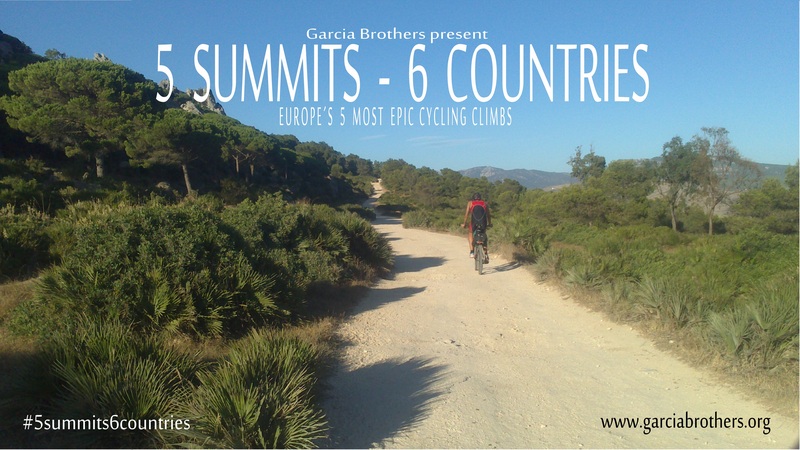 “5 Summits 6 Countries”, so it will be called the next sports challenge of Garcia Brothers. On a car trip through Italy, Austria, Liechtenstein, Germany, Switzerland and France, Garcia Brothers will ride on a bicycle the most difficult mountain passes of Europe. Among them are the ascent to Punta Veleno, Montirolo, Scanuppia, Passo de Gavia, and Stelvio. Stay up to date on the latest news on “5 Summits 6 Countries” through our website.